Viv and I are pretty practical when it comes to Valentine's Day. Spending $$$ on outrageously priced flowers, gifts and special menus just doesn't do it for us. Hence, we were content in staying at home, until my mom called asking if we'd like to go to Cindy's Palace for dinner. Sure, why not, we weren't planning anything special anyways. 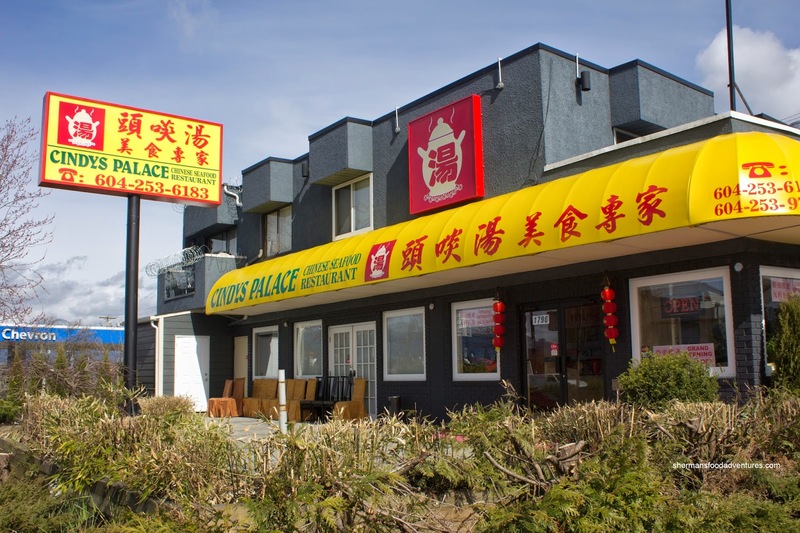 Apparently, this was the only place they could get a reservation as most of the other Chinese restaurants were booked solid. So is this how Chinese families spend their Valentine's Day? When it came down to ordering, our server (who was actually nice) tried to up sell us on everything to the point where it was becoming uncomfortable and awkward. We had to refuse a 3.5 lb lobster 4 times and their 2-course fish special 3 times, to our annoyance. 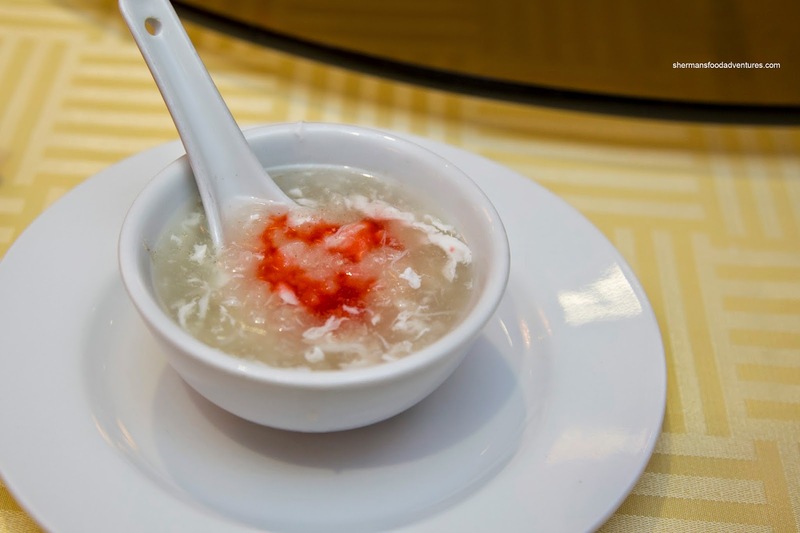 We ended up starting with the Fish Maw and Crab Meat Soup. Although there was plenty of fish maw, there was an absence of crab. We found the soup base to be lacking depth where it just tasted salty without any defining flavours. It did have a nice silky consistency though, but the fish maw was lower quality and therefore a bit on the crunchy side. 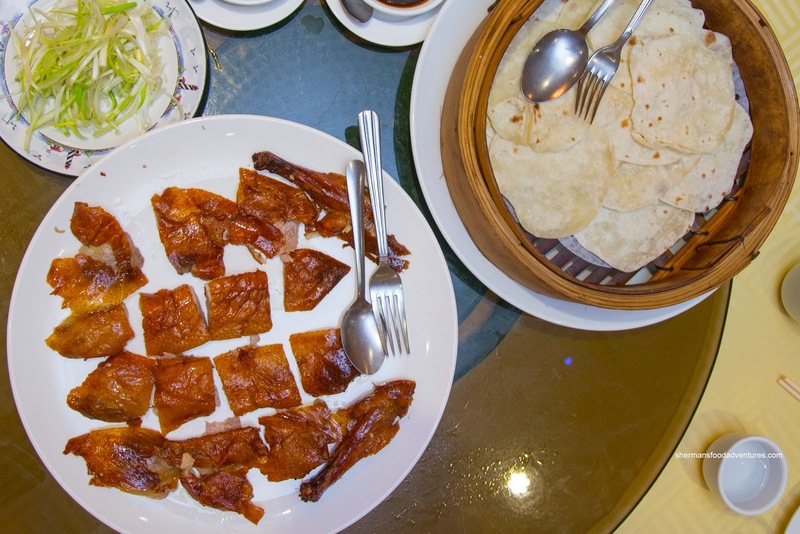 As always, we got the Peking Duck served in 2 courses. We requested that they carve the duck with some meat left on the skin. The layer of fat was moderate while the skin itself was not all that crispy. On the other hand, the duck meat was succulent and well-seasoned. 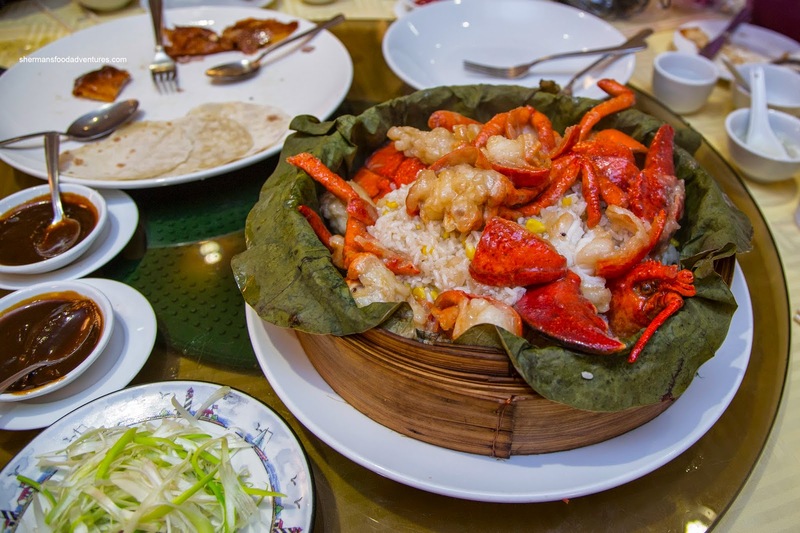 Next, we were served the Lobster atop a blend of sticky and long-grain rice. This dish was executed quite well with a plethora of chewy rice. With sweet corn niblets nestled within and the lobster juices seeping in, the rice was a tasty treat. As for the lobster itself, it was fried just enough where the meat was still buttery with a meaty rebound. It was tossed in a starch-thickened consume sauce that was a touch salty (but okay since it was flavouring the rice anyways). 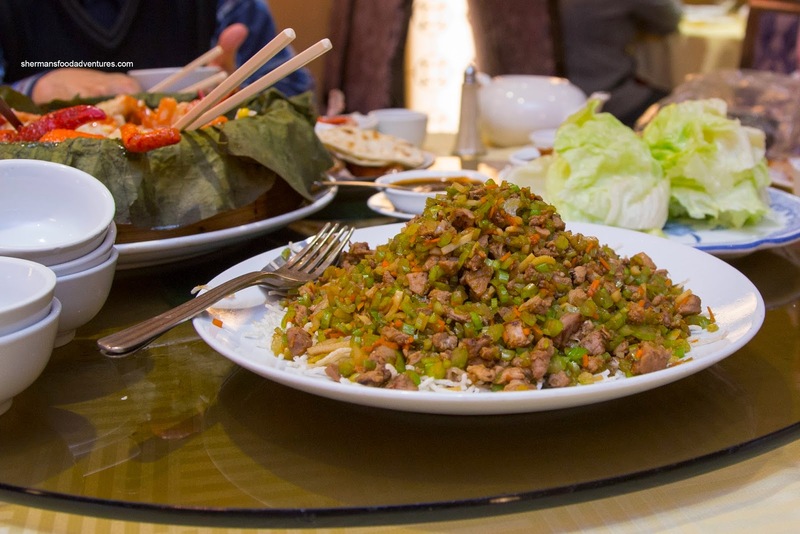 For the second course of the Peking Duck, we had the Duck Lettuce Wrap. Hacked up into far-too-small lettuce cups that were still soaking wet, it was a bit difficult to eat where the filling fell out and got diluted by the excess water. The filling itself wasn't bad where there was a good amount of moist duck meat with crunchy celery and carrots. 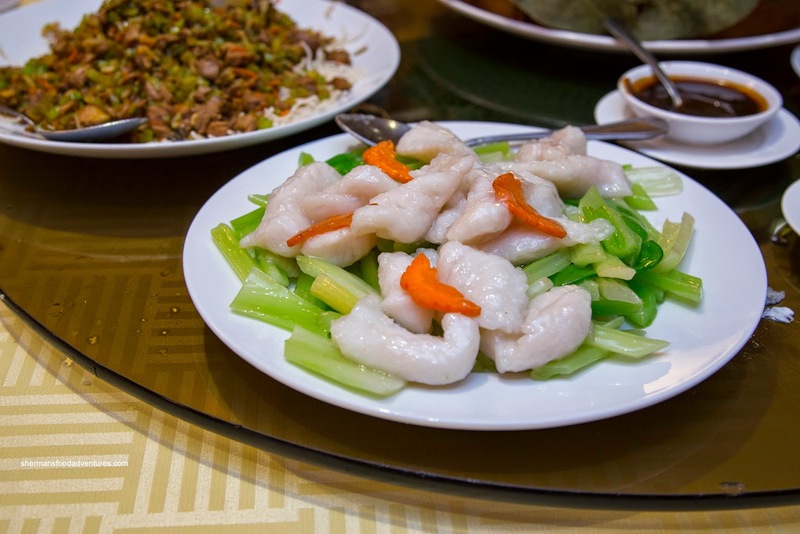 Onto some veggies, we had the Stir-Fried Fish Filets with celery and snow peas. This was a fairly greasy dish where the reflection from the oil was blinding. It ate quite greasy too as our lips were no longer chapped afterwards. With that being said, the fish was nicely oil-blanched where it was flaky and moist. The veggies were vibrant and crunchy, albeit pretty salty. 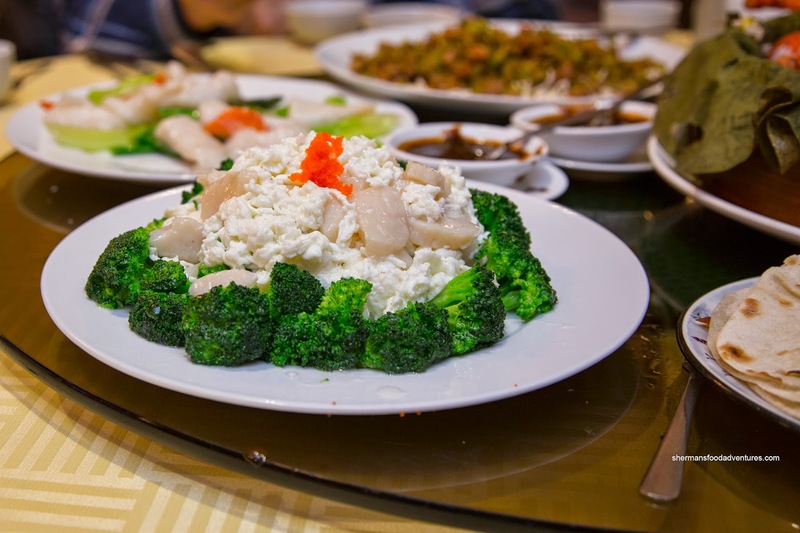 Lastly, we had the Broccoli with Egg Whites and Scallops. Again, the dish was greasy and fairly salty. On the plus side, the egg white were fluffy and appealing while the scallops were plump and cooked just enough. Although appearing like a garnish, the broccoli was actually good being crunchy and vibrant. For a packed house, we found the food pretty acceptable albeit salty and greasy. Not sure about the service though, it wasn't bad per se, but rather pushy and awkward.